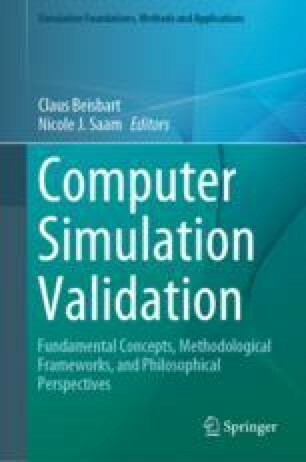 The use of experimental data for the validation of deterministic dynamic simulation models based on sets of ordinary differential equations and algebraic equations is discussed. Comparisons of model and target system data are considered using graphical methods and quantitative measures in the time and frequency domains. System identification and parameter estimation methods are emphasized, especially in terms of identifiability analysis which can provide valuable information for experiment design. In general, experiments that are suitable for system identification are also appropriate for model validation. However, there is a dilemma since models are needed for this design process. The experiment design, data collection and analysis of model validation results is, inevitably, an iterative process, and experiments designed for model validation can never be truly optimal. A model of the pulmonary gas exchange processes in humans is used to illustrate some issues of identifiability, experiment design and test input selection for model validation.